KidFriendlyPlaces.org is a mobile-friendly wiki that allows people to find, to share, and to review kid friendly places or activities anywhere in the world. Parents (or grandparents, aunts, uncles, baby sitters, etc.) 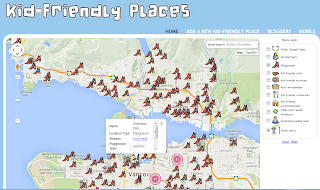 can use the kid-Friendly Places to find playgrounds, swimming pools, activities, kid-friendly accommodation, and other child-friendly places either in their own neighbourhoods or when they are traveling. 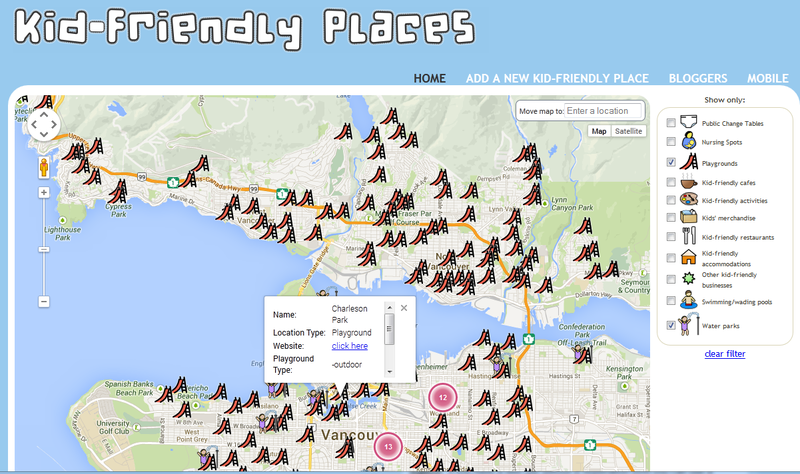 Kid-Friendly Places is community-driven, meaning that users add, rate, and comment on places. This sharing means that Kid-Friendly Places has the potential to be as up-to-date as possible, and it means that the more people who use and contribute to the project, the better it gets, so sign up and start adding kid-friendly places in your neighbourhood! Coming Soon - Indoor Playgrounds.